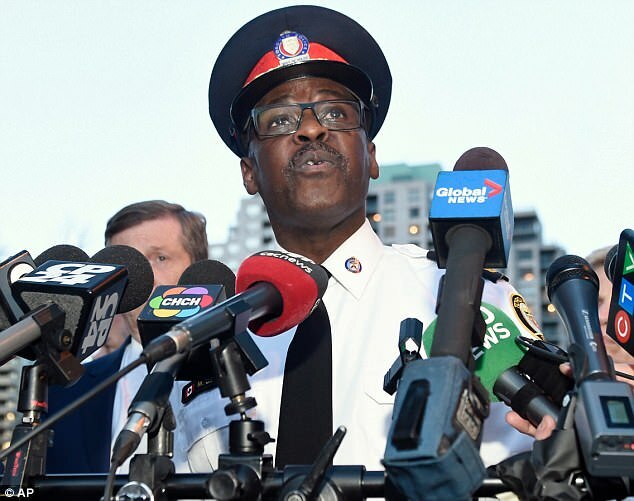 Chief praised the arresting officer, saying he did not open fire despite thrDramatic footage has emerged of the Toronto van attack suspect begging police to kill him following the rampage which left 10 dead and 15 hurt. 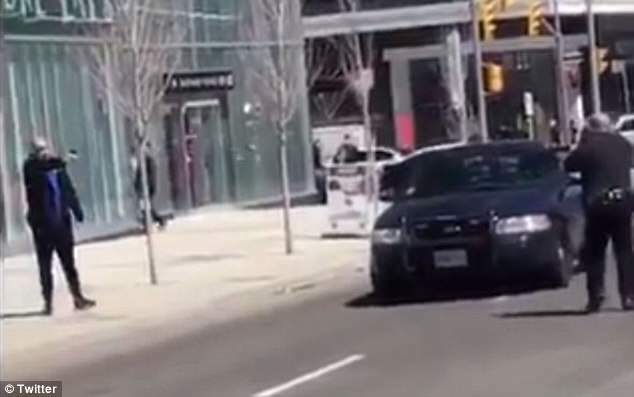 The video shows the suspect, identified as 25-year-old Alek Minassian, pointing an object at cops while shouting 'kill me' before he is bundled to the floor and arrested. 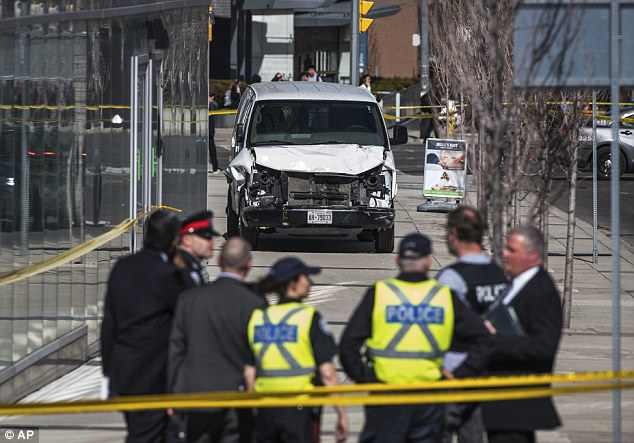 Minassian is suspected of deliberately driving a van into crowds in Toronto. 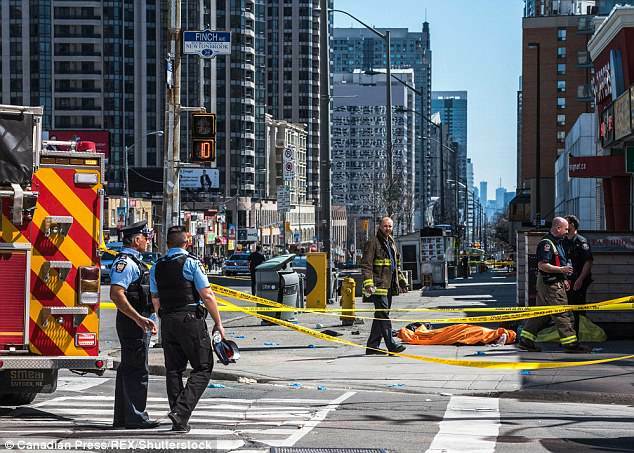 While details are scarce, Canadian Public Safety Minister Ralph Goodale said he does not believe the attack was linked to terrorism. Federal mounted police are not involved in the investigation, also making a terror connection unlikely. Multiple reports have suggested mental illness as a likely cause. It also appears Minassian had online discussions about Elliot Rodger, the Santa Barbara mass killer. The name Minassian, or its alternative spelling Minasyan, is an Armenian name and more than 90 per cent of Armenians are Christians. In the video, an officer can be heard repeatedly shouting: 'Get down or you'll be shot' as the suspect continued to wave around the object. 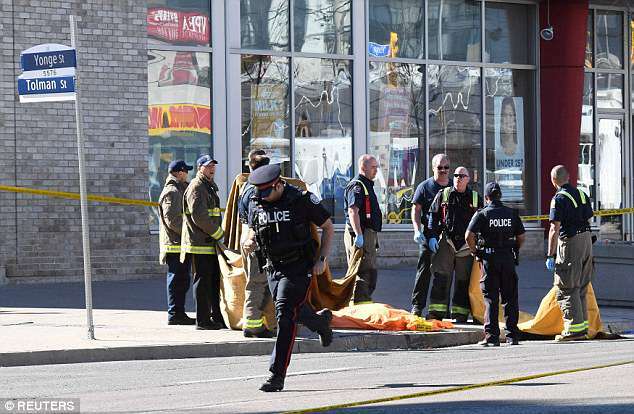 Minassian is heard yelling 'kill me', while gesturing to the officer that he should shoot him. Oblivious bystanders can be seen in the footage emerging from a building near Minassian before hurrying away as the standoff continued. 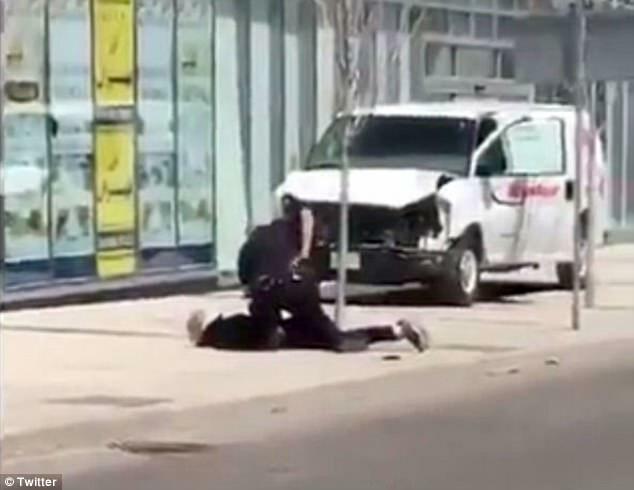 Moments later the footage, which was shot by a witness in a nearby car, shows the suspect lying face-down on the sidewalk as the police officer handcuffs him. Police have since confirmed that Minassian did not have a gun. It is not clear what he was pointing at the officer. 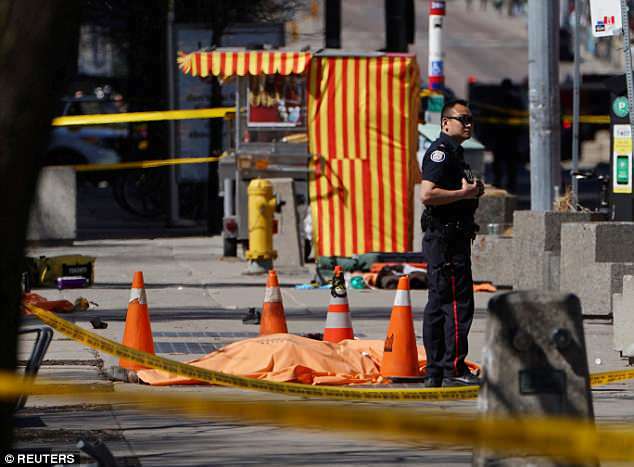 Mike McCormack, President of the Toronto Police Association, praised the arresting officer for his bravery, saying he made a 'continual threat assessment' before deciding that use of deadly force was not necessary. 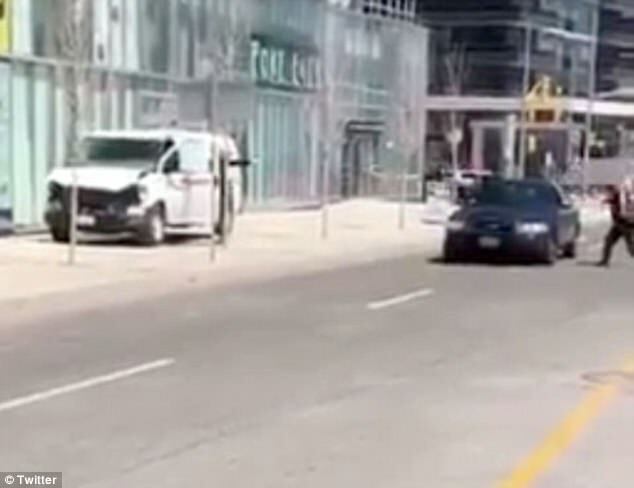 His arrest came soon after he allegedly drove a rented van onto a crowded sidewalk on Yonge Street and started crashing into pedestrians. Witnesses said the driver was moving fast and appeared to be acting deliberately. 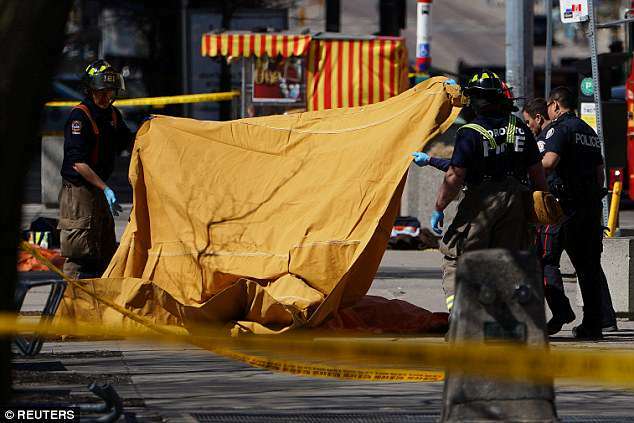 Police said the suspect had not been known to police previously. 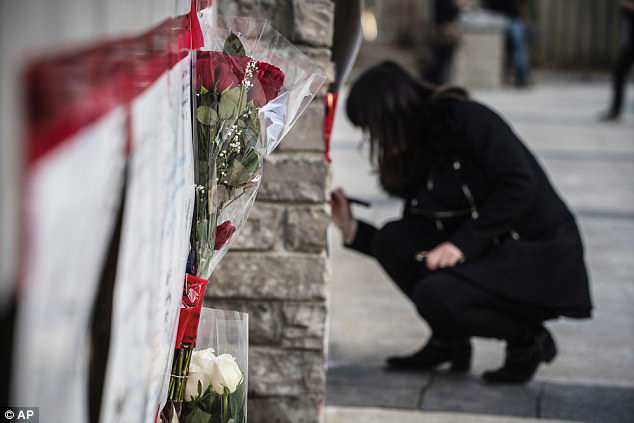 A senior national government official said earlier that authorities had not turned over the investigation to the Royal Canadian Mounted Police, a sign that investigators believed it unlikely terrorism was the motive. 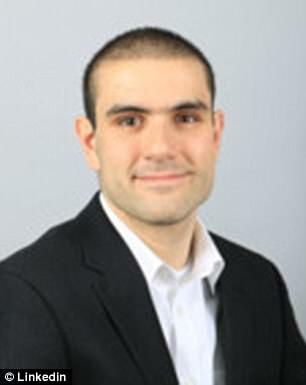 Minassian, who attended Seneca College, was described by former classmates as a socially awkward tech expert, the Globe and Mail reports. Others described him as having a social or mental disability. One classmate said that when he knew Minassian he couldn't drive and didn't know how to work a steering wheel. Minassian attended a high school program for students with special needs where he would often walk the halls with his head down and hands tightly clasped, according to former classmates. Shereen Chami, one of his ex-classmates, told Reuters that he was not violent. 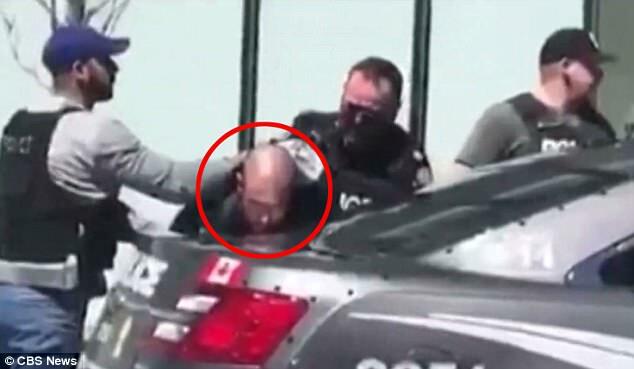 She said Minassian was part of a program at Thornlea Secondary School, in Toronto's northern suburbs, for high school students with special needs, attending a mix of mainstream and separate classes. 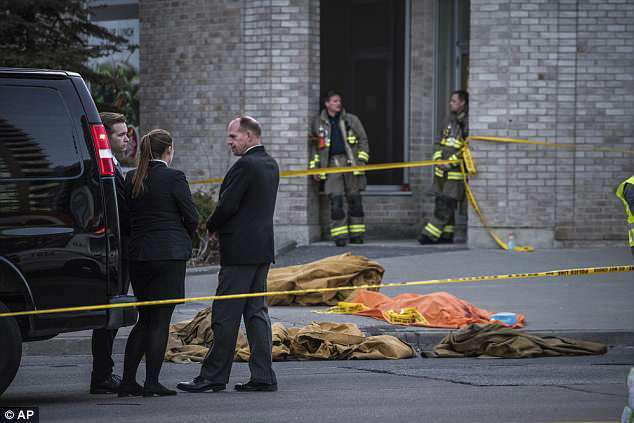 Canadian Public Safety Minister Ralph Goodale called the incident a 'horrific attack' and said the G7 foreign ministers extended their condolences. 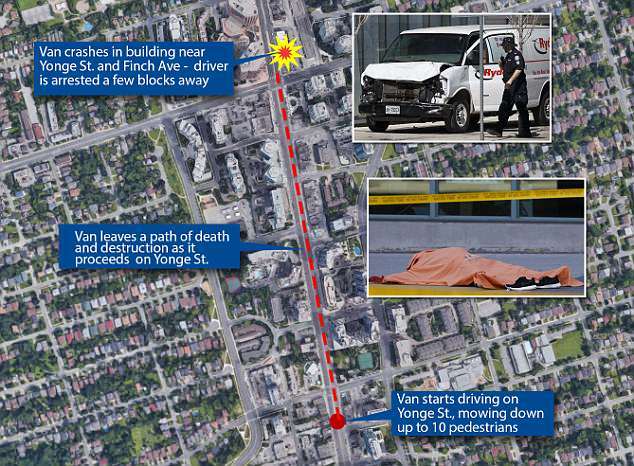 The driver was heading south on busy Yonge Street around 1.30pm and the streets were crowded with people enjoying an unseasonably warm day when the van jumped onto the sidewalk. 'If it was an accident he would have stopped,' Kang said. 'But the person just went through the sidewalk. He could have stopped. This person was intentionally doing this, he was killing everybody,' another witness at the scene said. 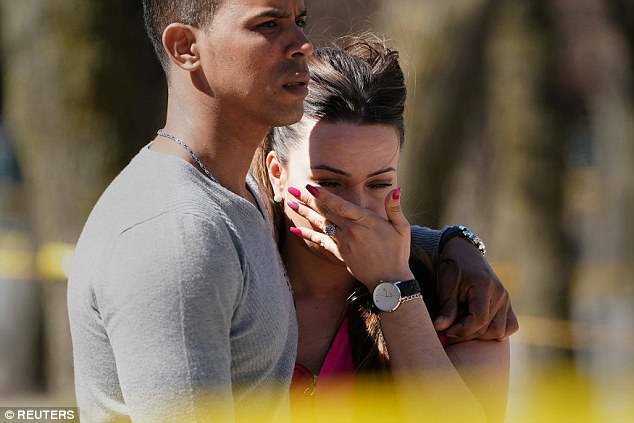 He added that many of the victims had been elderly while he saw a stroller fly into the air.